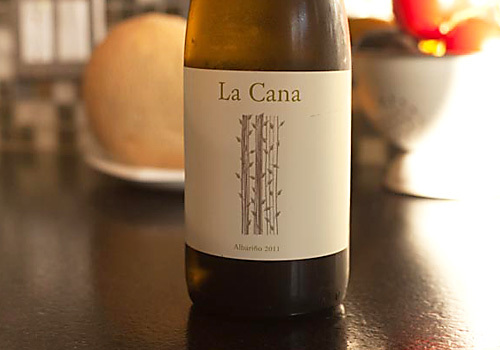 This is a beautiful Albariño wine, one perfect for the hot weather we’ll be having this week. I was actually shopping for the Paco & Lola Albariño that Costco carries but found this one in its place. It is delicious! This wine is marked by lemon and mineral characteristics and has a very long and wonderful finish. Those who read GCV know that I am a big fan of this Spanish white wine, and this is one of the better ones I have tasted. Have this as an aperitif, or just fry up some Calamari and you’ll be in business. The alcohol on this wine is 12.5%, but it feels like a much bigger wine than that. 89 Points. Last week we were in the northwest visiting Seattle, Victoria BC, and Vancouver BC. We tasted some wonderful wines from Washington and British Columbia. If you find yourself in the Seattle area, take a ride to Woodinville, about 30 minutes away. It is the home of Chateau Ste. Michelle and the Columbia Winery, but there are also 100 or so boutique wineries with tasting rooms in Woodinville. Drop in on a couple and you will be delighted with the wines you taste. If you are in British Columbia, stop in at one the Government shops and head for the display of BC wines. They are quite good and reasonably priced. Here is a one-minute video I shot at the Page Cellars in Woodinville’s Warehouse District. Owner Jim Page tells us about Woodinville and his winery. Take a look.